Are Your Client Interviews Going Smoothly? Client interviews are an important process in going from interested party to happy client. If you're not conducting these important consultations yourself, how can you be sure they're being as effective as they should be? The client consultation is the final step between informing the potential client and signing the contract for representation, so this is a part of your legal marketing you can't afford to skimp on! To employ some secret shopping on these meetings, you'll add a summary checklist of things to be covered in the interview. You should include on this checklist all the topics you want covered in the interview to ensure your client leaves the consultation with the proper information. This summary checklist is going to work both as a secret shopping tactic and also as a legal marketing method. How this helps your secret shopping is obvious, if there's anything the client didn't check off at the conclusion of the interview, it means your staff isn't covering everything they should be during these meetings. How the summary checklist helps your legal marketing involves a bit of creativity. You should send a copy of the summary checklist home with the client, as it will serve as a reminder not only of what your staff discussed with them, but also what your office will do for them. When they review the checklist later along with all the additional information you send home with them, it should jog their memory of the concerns with their case, as well as how your firm will handle those concerns. Not only does the summary checklist let you determine if your client interviews are being conducted properly, but they also serve as reassurance to your client that you take their case seriously. This reinforces the fact that you're ready to take their case on even before you've been chosen to help represent them! 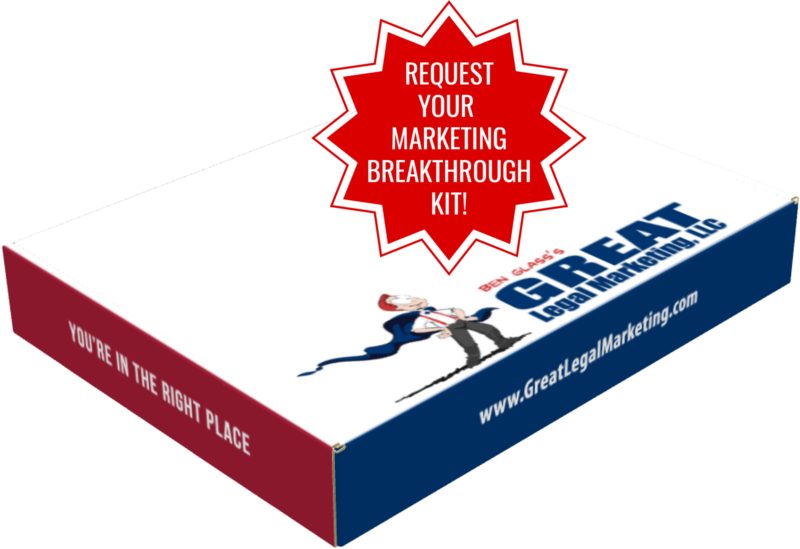 Knowing that your legal marketing response methods are bringing in your clients effectively and keeping them in the loop is crucial to the overall success of your marketing strategies. With a little secret shopping analysis, you can make sure your methods are working properly and allow yourself to breathe a little easier. Ben Glass will teach you how to: stop marketing like every other lawyer on the block; grow the kind of practice you can be proud of; and still get home in time for dinner. Contact us today - (703) 591-9829.